The USDA Loan program offers a home buyer the chance to purchase a home in a rural or suburban area with up to 100% financing as sponsored by the USDA or United States Department of Agriculture. The one catch on all this is that the property must be in a designated rural area as determined by the USDA. This is almost a true 100% financing option with $0 out of pocket because there can be $0 down payment, and if you get a seller’s concession that can cover your closing costs, there will be nothing due at closing and you will have purchased the property with no money out of pocket. If there is a situation where the borrower cannot get enough seller’s concession to cover closing costs, there is always a chance for a lender’s credit. A lender’s credit can be used from a USDA lender in order to cover part or most of the closing costs in lieu of a higher interest rate. Given these lenient terms for a USDA loan, you can see why they are extremely popular in rural areas where borrowers may not have a lot of money for down payments and closing costs. In order to be eligible for USDA Loans, as mentioned earlier, the property need to be in a USDA designated area and the borrower needs to be qualified with regards to their credit score and debt to income ratio. USDA Loan programs differ from your standard loan programs as there is a maximum household income limit depending on the county the property is located. If a borrower is married and goes on the loan application by themselves, their spouse’s income will be counted even if they aren’t on the loan. There are 2 different income requirements when talking about USDA Loans and it is either for a 1-4 member household or a 5-8 member household. This might catch you off-guard, but the size of the household has a lot of bearing on the income you can use to qualify for the loan in question. For the 1-4 member households, you are looking at income that may not exceed $75,650, however, this amount can reach as high as $153,400 if your area is determined to be in a high-cost area. If you are unsure what area your perspective home is in, then you need to check with the USDA website or contact us today and we can assist you in finding this answer to your question. For the 5-8 member households, you will be able to have income as high as $99,850 in the normal cost areas, or it can go as high as $202,500 for these designated high-cost areas. All of these guidelines are for nothing if your property is not deemed to be in a rural area by the USDA and this is why this designation is so important when it comes to getting USDA Loans. Income Requirements: In order to obtain a USDA Loan, you can already see that there are income guidelines that need to be followed. If you are in a rural area, you are allowed to have up to 115% of the median income for that area. So if you are in an area where the median income is %50,000, you are entitled to make $57,500. The reason for allowing 115% of the median income is to take into account that these loans are not for people with plentiful income and quite frankly are in an area of lower incomes. Credit Requirements: If you are shopping for a USDA Loan, you need to know the difference between the credit score requirements per the guidelines and the lender enforced credit score requirements. For a USDA Loan, you only need a minimum FICO score of 580. Now if you are working with a lender that requires a 620+ FICO score, this lender is using what is known as a lender overlay meaning they want higher qualifications on top of the minimum requirements for a loan. With Loan Consultants we only work with lenders who are able to close loans while using minimum loan requirements across the board. Debt-to-Income Ratio: There is also maximum front end debt to income ratios of 28% and the maximum back end ratio is capped at 41%. As you can see, USDA loans are very attractive for those in rural areas who can qualify under the USDA Loan program. Since a majority of these loans are in low income areas, USDA has created their guidelines so that borrowers are not taking on a large amount of debt when getting their loan. Mortgage Insurance Premium (MIP): There is also a USDA Mortgage Insurance Premium associated with each USDA Loan. This is a premium that takes a certain percentage of the total loan amount and divides it over the 12 months on an annual basis. For USDA Loans you are looking at a premium of 0.35%. For example on a $100,000 loan you are looking at an annual premium of $350 or a little under $30 per month added into your mortgage payment. 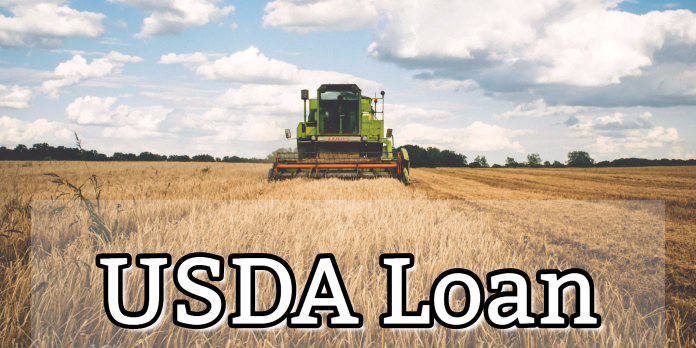 USDA Loans can be a great option for those borrowers living in rural areas who are in need of a loan. If you need assistance with a USDA, you need to call today at 888-900-1020.